Figure 18. 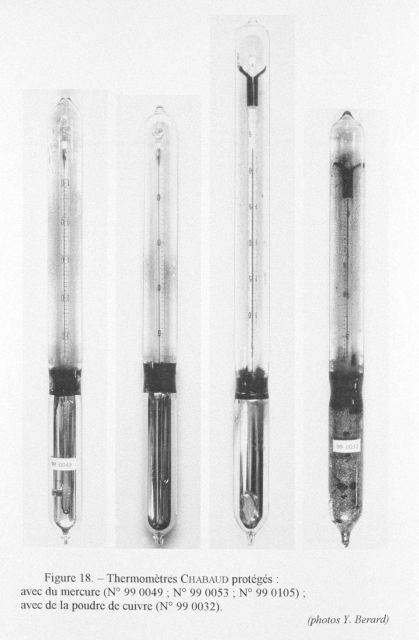 Protected Chabaud thermometers constructed by Victor Chabaud in 1892. Three left-most: mercury thermometers. Right: with copper powder.